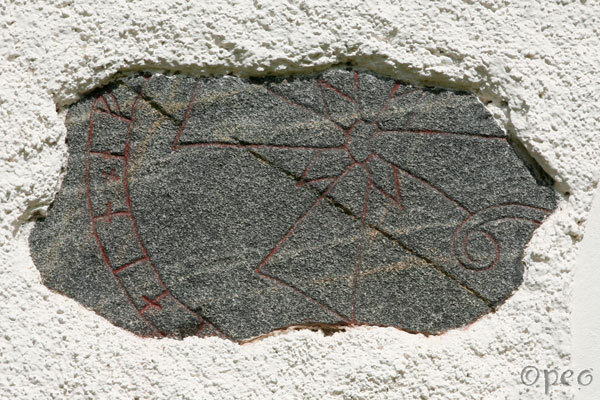 Holmfríðr and Folkvé had this stone raised in memory of Þorsteinn, their father. 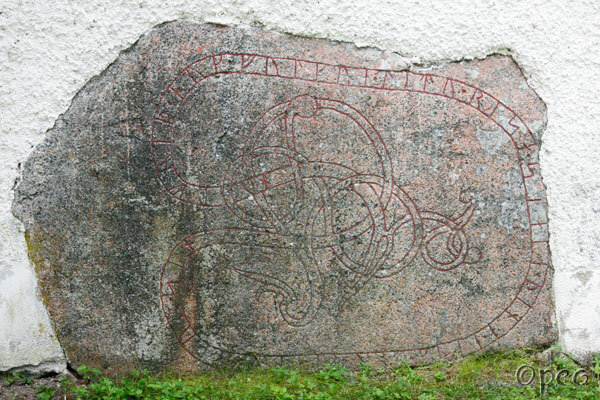 This rune stone and the one below were used as building material for Dalby church. ... had the stone raised in memory of ... his father /brother.